Bike Up! – From a young age, I was a kid who was passionate about speedy sports like racing, especially motor racing. Back then, I used to spend the money my parents gave me to buy the car models that I love. Therefore, I was often rebuked by my parents. At the time, I longed for a lot of money and bought race cars and became a great race car. But maybe I do not need to wait anymore, because right now, I can satisfy my passion with Bike Up!. This game was released by FunGenerationLab, and Bike Up! 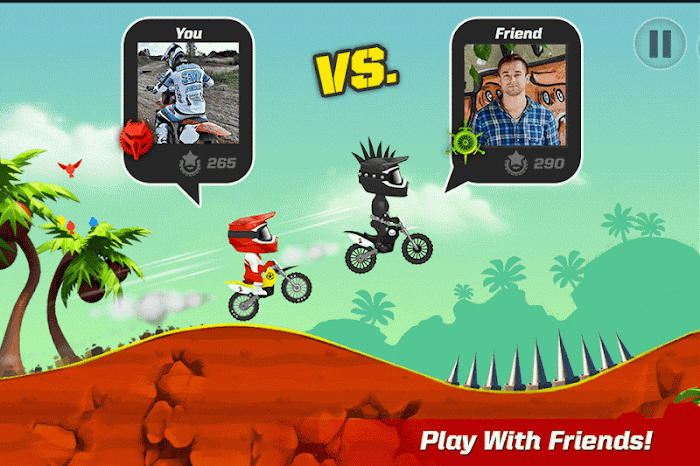 is one of the most popular terrain racing games. Get started and prepare for your journey right away! 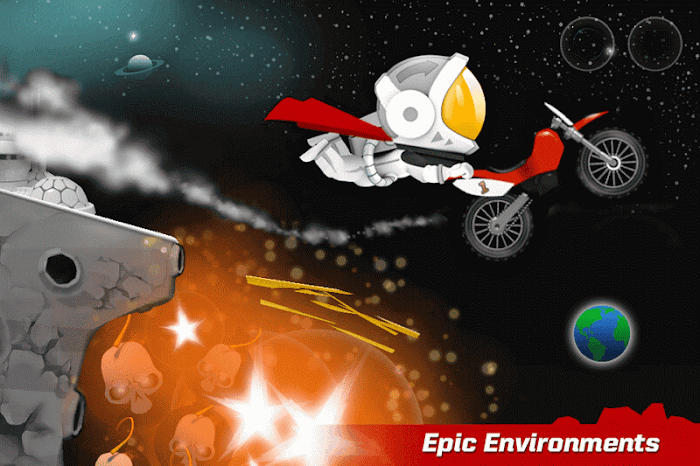 FunGenerationLab is a mobile game publisher from Latvia. Although they only have a few games, these games are excellent quality, high entertainment. In particular, all the games they bring are fun sports games. If interested, you can try through GX Monsters, GX Racing, Snow Trial, GX Motors … Bike Up! is their most successful game, at present, this game has reached 5 million downloads on Google Play. 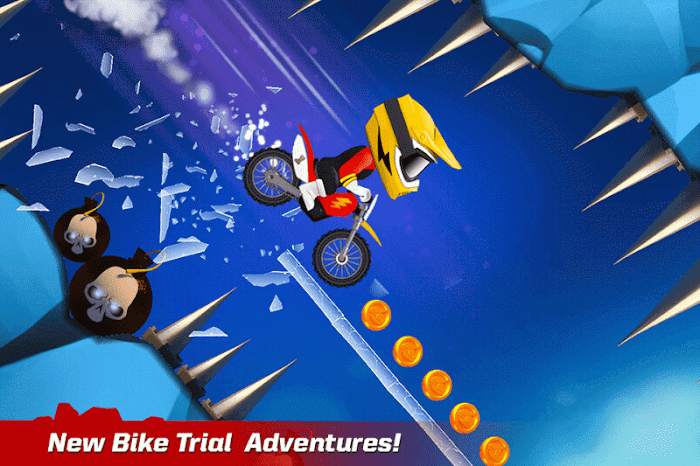 The most epic bike trial game ever! Coming to Bike Up, the players will be participating in the races across the top terrain. The player is portrayed as a great rider, on the road to the glory of the world’s best race car. 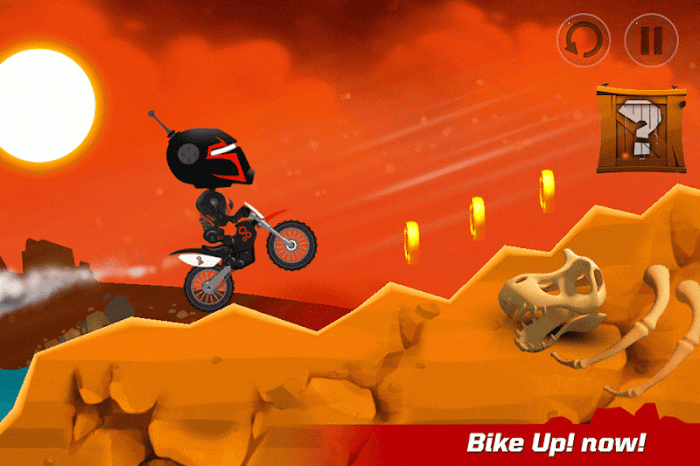 Players will have to overcome numerous obstacles, from rugged roads, steep slopes or obstacle obstacles. With a racing car and protective gear such as helmets and racing suits, the player will have to skillfully control the car and head towards the designated destination in a position. On the control mechanism, at the start of the screen, the screen will appear an interface including the control buttons such as a blue button to accelerate, red to accelerate, arrow button pointed to the right Balance the car forward and the arrow button to the left to balance the car on the rear. As expected from the players, this interface is quite simple and convenient. However, the higher the level of the terrain, the harder it will be even to take the traps, so players need to be flexible and skillful to control their moto. On the move will have a lot of money to appear, remember to collect them to have money to buy cars and other equipment offline! Global, local and friends’ leaderboard!